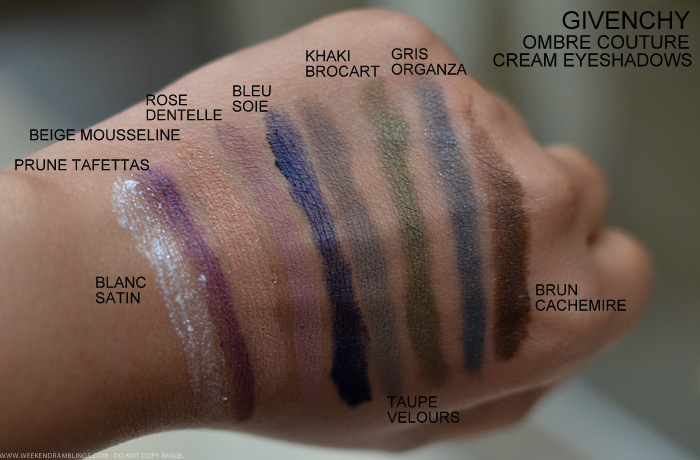 Cream eyeshadows in pots aren't exactly new - MAC Paint Pots have been around for a long time now - but of late, a lot of other brands too seem to have come with their own version of these. 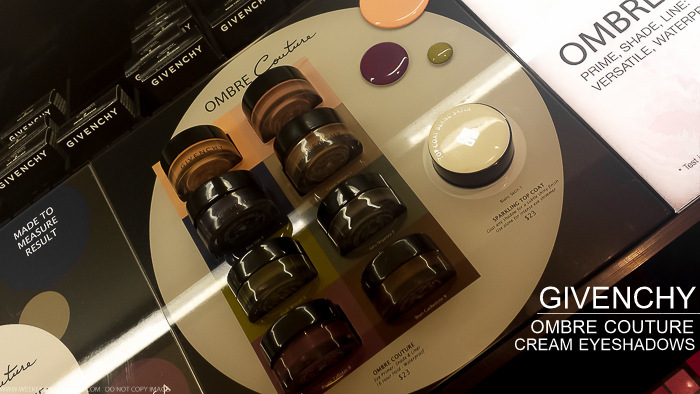 Givenchy Ombre Couture Cream Eyeshadows is one such new launch. Creamy with a hint of shimmer (some more shimmery than the others), these can be used on their own or as bases. Blanc Satin is a shimmery, sheer white that would work great on it's own or over other colors, but not as a base, I think. Going by the rave reviews on Sephora, these seem to be must-haves! On my list - Rose Dentelle and Gris Organza. oh these are sooo pretty! I loved Bleu Soie and Rose Dentelle!